The high-flying Neville may be called "The Man That Gravity Forgot," but that doesn't mean he's immune to injury. WWE.com has officially released a diagnosis of the injury sustained by the former NXT Champion during his one-on-one match with Chris Jericho on the March 14 edition of RAW, and things don't look good. 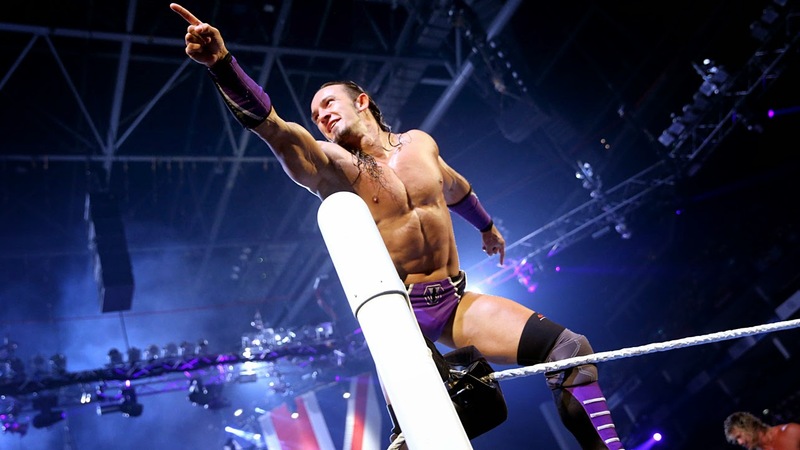 Neville sustained a left ankle injury on a baseball slide during his match with Chris Jericho. Initial X-rays reveal a fracture of the ankle. He will undergo further imaging today to determine the extent of the fracture and to determine if surgery will be necessary. We'll keep you updated with details as they are released, but the minimum time for a broken ankle ranges from six weeks upwards for the bone to heal, and much longer if there is any ligament or tendon damage. Even in the most optimistic scenario, this recovery window basically all but guarantees his absence at WrestleMania 32. Here's how the injury happened, as Neville attempted a baseball slide in between Chris Jericho's legs. Amazingly, even after breaking his ankle and tibia bone, Neville still successfully executes a beautiful huracanrana and a spin kick on his bad ankle. Balls, man. Balls. From all of us here at the Smark Henry offices, we wish Neville the best of luck on his recovery and eventual return to in-ring action. [UPDATE] Dave Meltzer is reporting a recovery period of four to six months—meaning even a SummerSlam appearance could be at risk for the Slammy Award-winning superstar.